Ever found a beauty product that ticked all the boxes for you that you swear never to give it up? That’s exactly how I feel towards the Jouer Cosmetics Long Wear Lip Creme Liquid Lipstick. Oh Birchbox SoHo, thank you for this discovery! The ingredients on the Jouer Cosmetics Long Wear Lip Creme Liquid Lipstick. I’ve been searching for the past decade or so for matte lip colours that would stay on even after food – think pizza, quinoa salads and wine – and didn’t give me any allergic effects. I also needed one with wearable shades and wouldn’t dry my lips out. 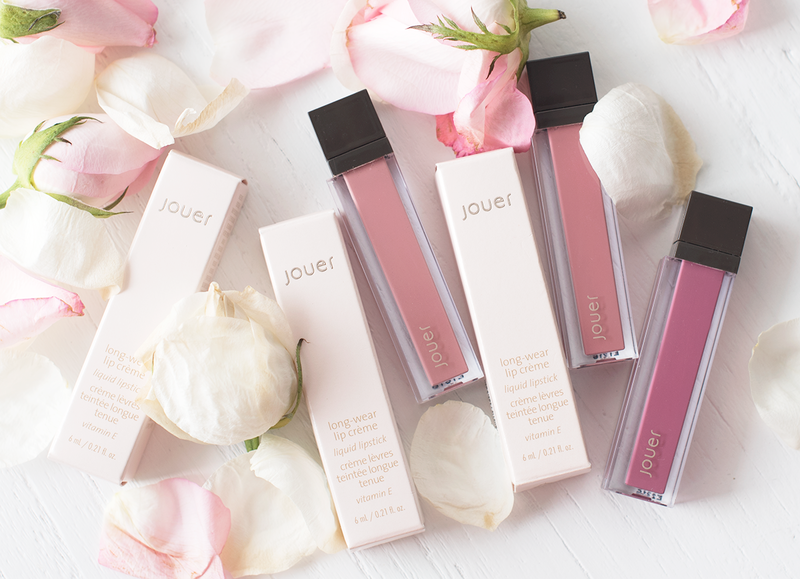 The JOUER COSMETICS LONG WEAR LIP CREME LIQUID LIPSTICK fitted all of that and I can’t be more excited to share this with you! 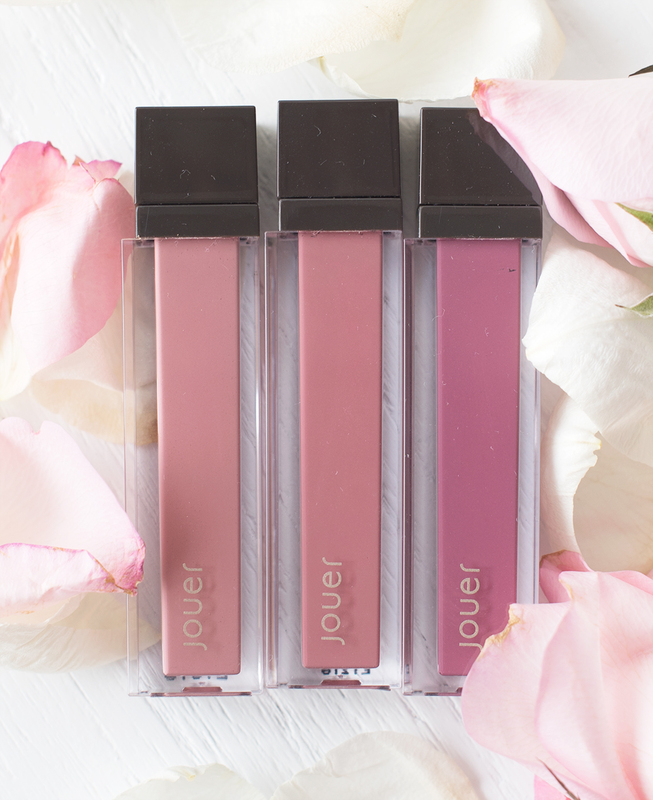 The Jouer Cosmetics Long Wear Lip Creme Liquid Lipstick in (from left to right) Dulce de Leche, Lychee and Cassis. 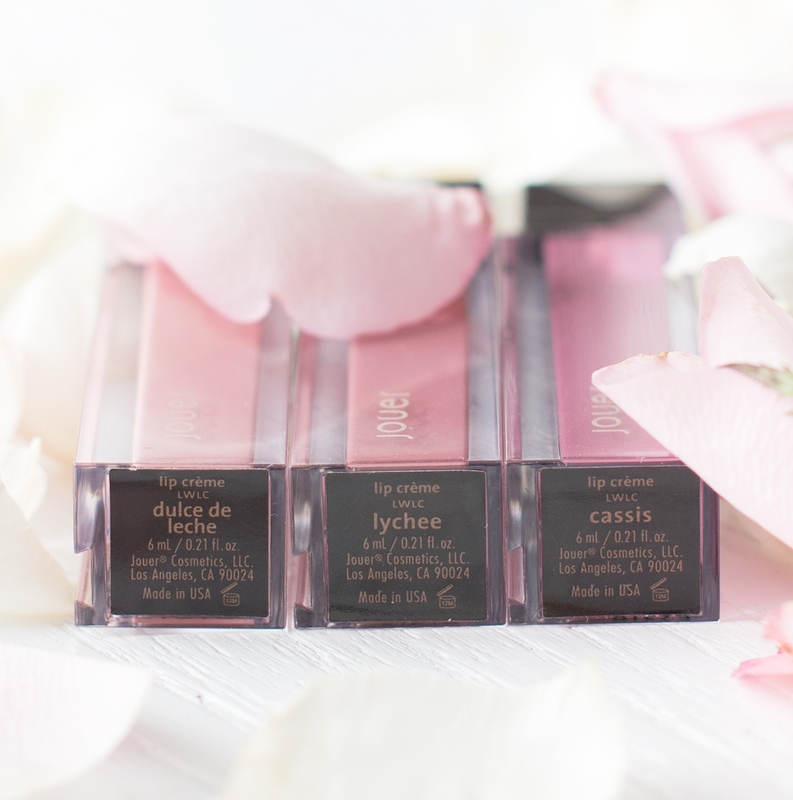 I got them in 3 colours while shopping in downtown Manhattan – Dulce de Leche, Lychee and Cassis. They are super pigmented, which means you only need a little each time you apply them. They also smell very nice, like raspberries, and that makes applying lip colour a pleasant experience indeed. And because the lip colours really do stay on for hours (with no bleeding whatsoever), you’ll need a makeup remover to take it off at the end of the day. Dulce de Leche and Lychee are very similar at a glance, but when you analyse them a bit more, you’ll see that Lychee is slightly darker. Both shades are very suitable for day wear though, and I can’t decide which of the two I like better. I generally reserve Cassis for nightwear because the colour is the darkest of out the three. I’d say it’s a bit on the violet side, and it would fit both cool and warm toned skin. I didn’t get any red shades at the time, as I already have my Julie Hewett reds and Tom Ford’s Black Dahlia. Enough talk. Let’s see some swatches! 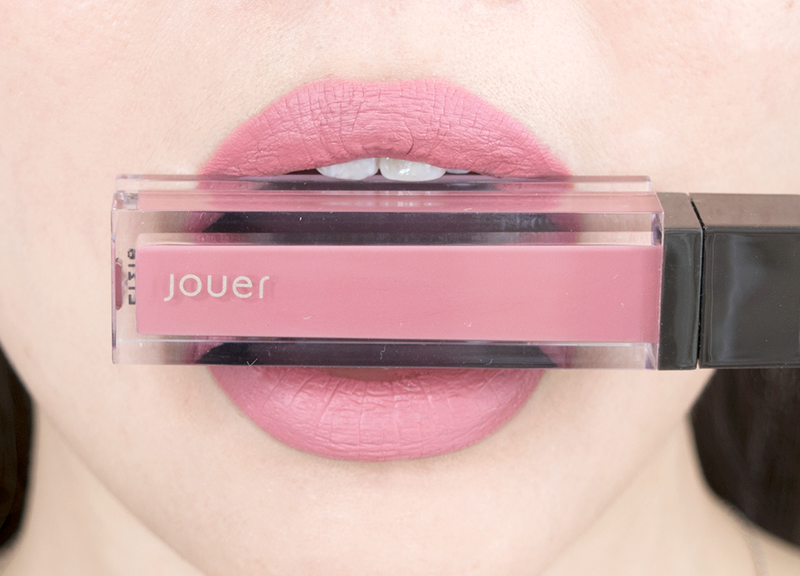 Jouer Cosmetics Long Wear Lip Creme Liquid Lipstick Dulce de Leche Swatch. 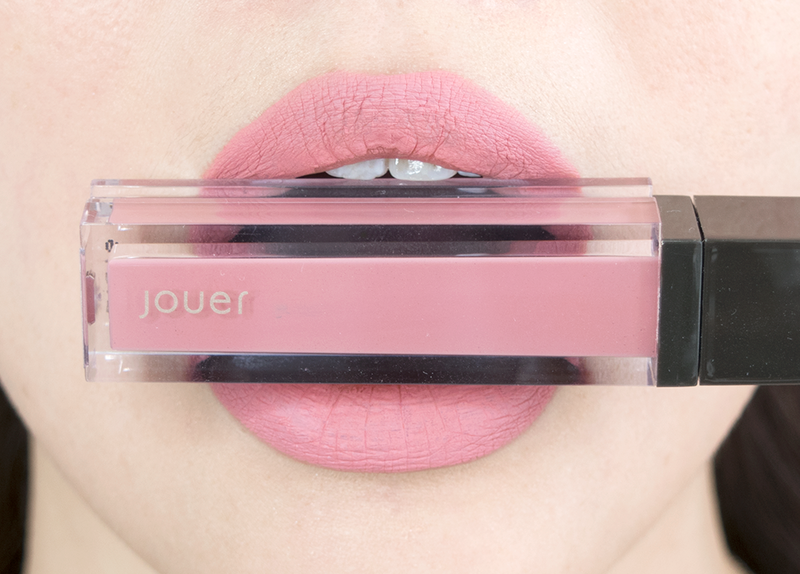 Jouer Cosmetics Long Wear Lip Creme Liquid Lipstick Lychee Swatch. 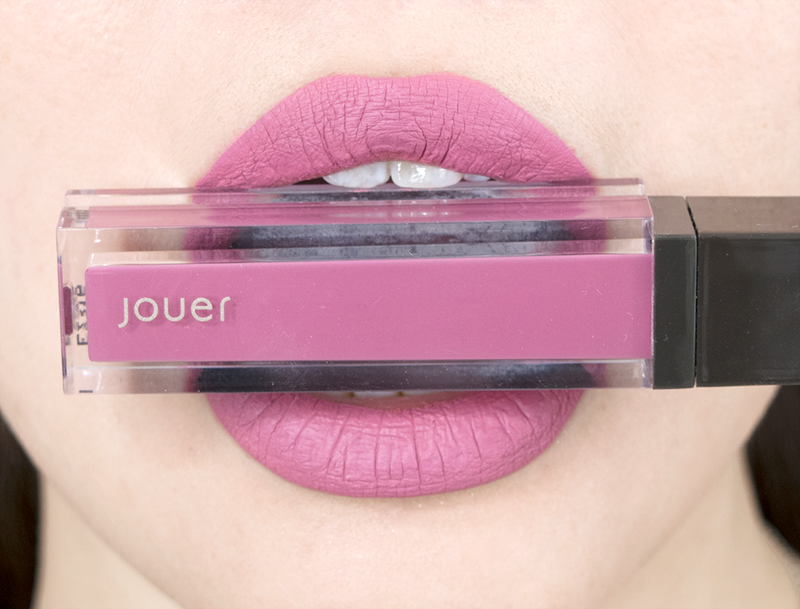 Jouer Cosmetics Long Wear Lip Creme Liquid Lipstick Cassis Swatch. The good thing about the Jouer Cosmetics range of products is that their packaging, be it lip colour or eyeshadow, can click and slide in together for you to create your own personalised palette. I recently did a video on this lip colour and showed you how it passes the kiss test. Watch it here. I don’t think I’ll ever find something else quite like this. It’s definitely a part of my signature look now. I’ve gotten so many compliments and questions on this lip product every time I wear it, honest. I can’t believe how not enough people know about this! Anyhow, you can purchase it from Nordstrom HERE. If you liked what you saw in this post, do subscribe below to the blog for my once-weekly beauty and style news in your inbox. I’m also launching my beauty resource library in a few weeks, and you’ll get free access to it! 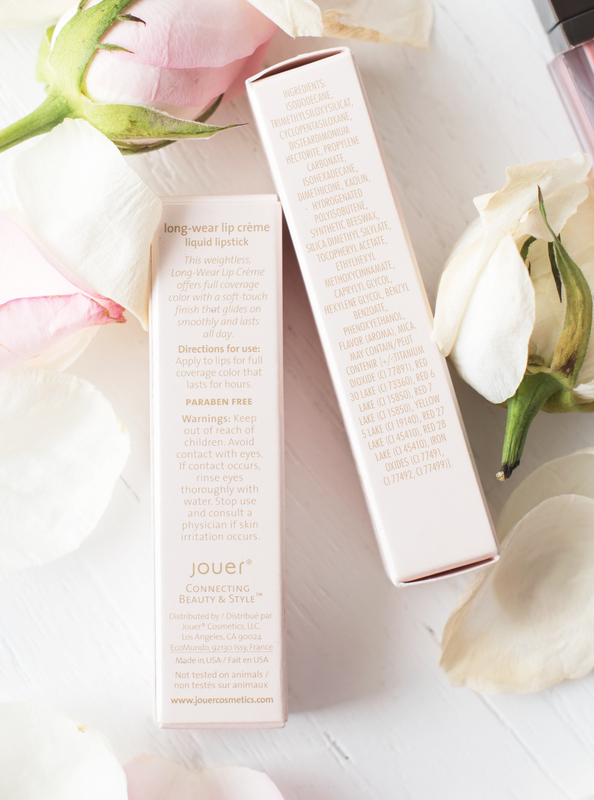 Jouer Cosmetics Long Wear Lip Creme Liquid Lipstick – The Most Underrated Lip Product Ever was last modified: November 6th, 2016 by Roxanne C.